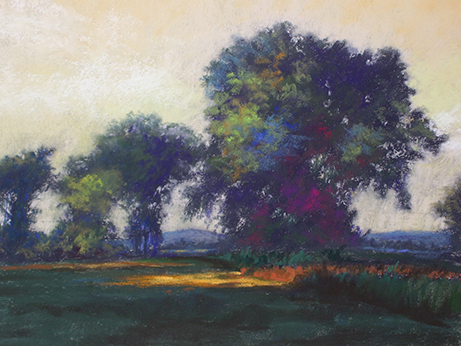 Cathy teaches pastels and drawing at the South Bend Museum of Art and at Battell Center, Mishawaka, and in regional workshops. She is founder and president of the Northern Indiana Pastel Society and a board member of Northern Indiana Artists. She is a docent at the South Bend Art Museum and the Snite Museum of Art, Notre Dame. She has organized many shows, workshops and art meetings for the community. Her art is in the permanent collections of Southwestern Michigan College, Lake City Bank, Lakeland Hospital, University of Notre Dame London Program and many others.